Dad loves a trip to the lake with his family. 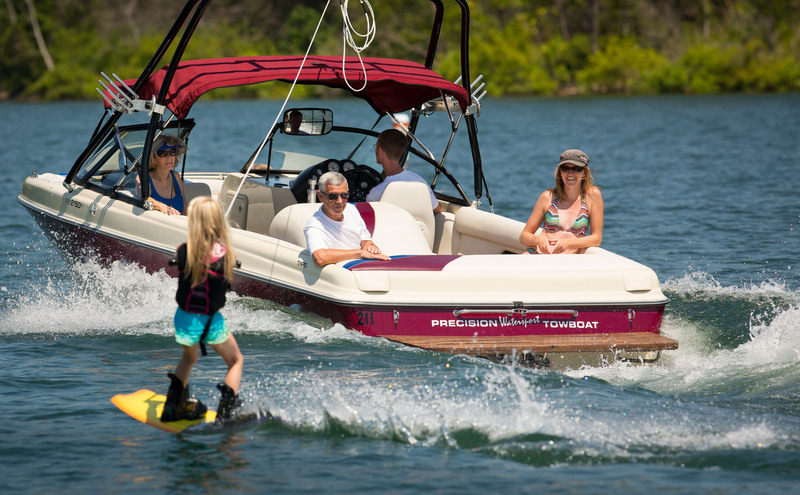 With Father’s Day just days away, we thought we might suggest a few great ways to treat Dad at Table Rock Lake on his special day. Of course, you could always go with that tie thing, but Dad will forever remember a special trip to Table Rock! Captain Dad – Dad is the captain of the ship at home, so let’s make him the skipper of a vessel on Table Rock for the day. If the family doesn’t have a boat, call in advance and rent a runabout or pontoon from What’s Up Dock at Port of Kimberling. It’s a great way to spend the dad on the water with the family. Don’t forget the sunscreen and the camera. Boat rentals are also available at other Table Rock Lake marinas. King of the Grill – Outdoor Rooms by Design in Kimberling City has an outstanding selection of “dad stuff” – especially if the man of the house is into grilling. You’ll find unique items from pizza stones to high end grill accessories. And if dad is in the market for a new grill, Outdoor Rooms by Design stocks an impressive seven different brands of grills and smokers. They also feature fire pits, outdoor furniture, spas and more. Browse our list of retail shops around the lake for other unique gift ideas. Fishing Adventure – If angling is one of dad’s hobbies, consider a guided fishing trip on Table Rock Lake. The lake is one of the top bass fishing lakes in the country, and professional fishing guides like Doc's Guide Service know where to find, and catch, them. Dad will learn a lot about the lake from a day with a professional guide, and will remember you for setting it up. Half and full day trips are available. View our list of recommended Table Rock Lake fishing guides. Feast Fit for a King – Treat dad to a nice dinner at one of the Table Rock Lake area restaurants. With offerings from quick and economical, to unique five course presentations, you’ll find something to fit the bill at one of our area restaurants. If you like Mexican food, try El Lago in Branson West. It’s convenient, reasonably priced, and the service is excellent. And of course, the kids, and dad, can munch on the complimentary chips and salsa while you wait for your meal! Remember, the greatest gift you can give dad is your love — and that’s all he really wants for Father’s Day. If you want to make it extra special, consider a trip to Table Rock Lake!